Day 3 of the trip landed us in Talkeetna, Alaska. I've already posted pictures from here, so I'll skip those. 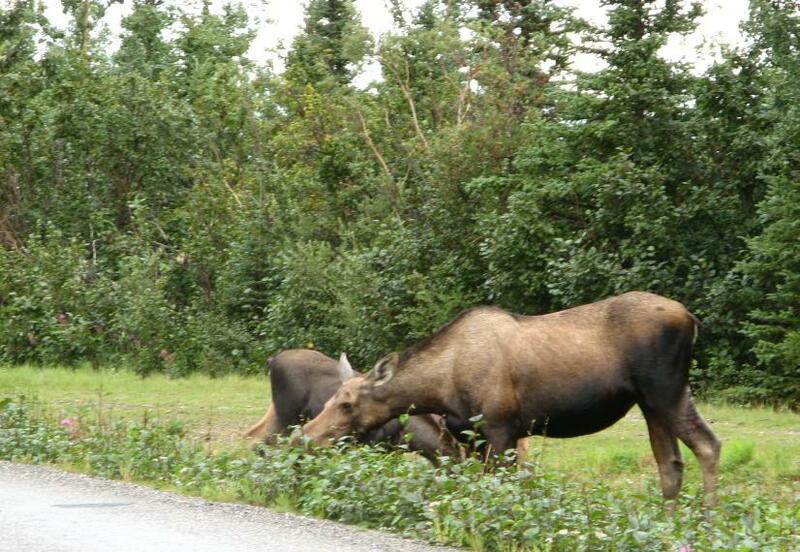 Day 4 took us farther north, up to Healy, AK, about 11 miles north of Denali National Park. 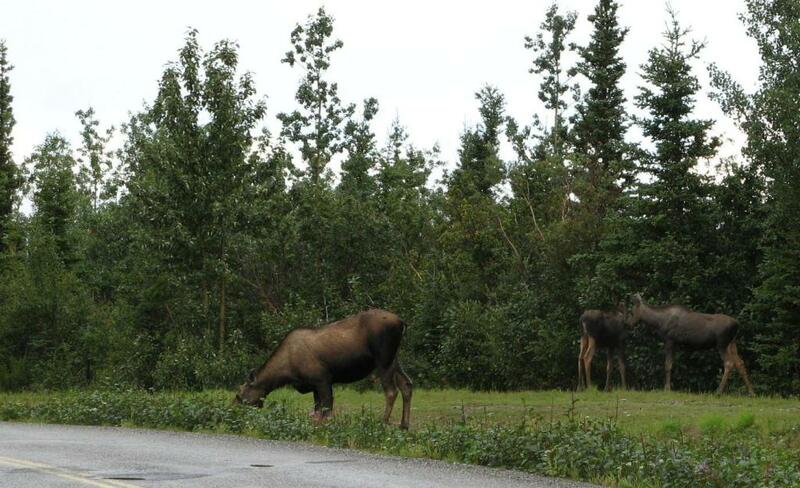 On the way to dinner at the local golf course we ran into a female moose and a few of her babies. Unfortunately my camera was in the back of the car, so I had to park the car and get out and get the camera, but they didn't leave.